EnrollNOLA’s OneApp Main Round Opens This Month! THE MAIN ROUND ONEAPP FOR THE 2019-2020 SCHOOL YEAR OPENS NOVEMBER 19! OneApp season can be intimidating for families. This enrollment season, EnrollNOLA is striving to provide clarity on common misconceptions about the enrollment process. MYTH #1: Listing more school choices decreases my chances of getting into my top choice. The number of choices you list on your application does not affect the likelihood of you getting one of your top choices. 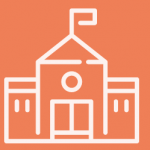 EnrollNOLA seeks to place all families at their highest-ranked school with seats available, based on family preference and each school’s priorities. This way they are able to honor family choice, while families are not penalized for listing more options. MYTH #2: If I get placed at one of my application schools, I can still choose to return to my previous school. If you are placed at any of the choices you list on your application, you will lose the spot you hold at your current school. It’s critical that families only apply to schools they prefer to their current school. By submitting an application, the student is indicating that he/she would rather go to the schools to which they have applied, and are willing to give up their current assignment for the opportunity to do so. MYTH #3: If I submit my application earlier, I have a greater chance of getting one of my top choices. All applications are processed at the same time, so there is no advantage to applying early. By processing all applications at once, families who are unable to submit their applications earlier are not at a disadvantage. Please note that families interested in attending schools with admissions criteria must submit their applications during the Early Window, which ends January 11, 2019. The reason Early Window schools have an earlier deadline is so school staff have time to determine applicant eligibility, not so families can receive a placement early. Early Window applicants are not given an advantage over other applicants to open admissions schools. MYTH #4: If I only list one school, that means I’ll get in. Some schools receive many more applicants than they can accommodate. If you list only one choice and that choice has more applicants than available seats, your child may not receive an assignment and may miss out on your other preferred schools. 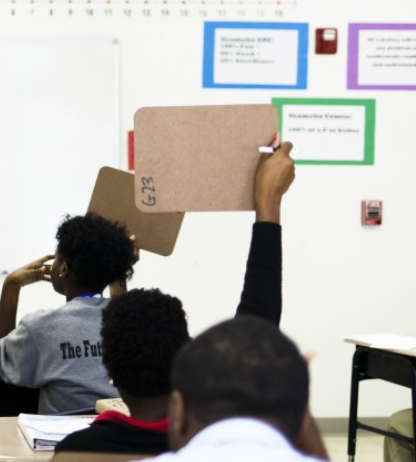 While EnrollNOLA matches families to their highest-ranked school with open seats, it is not always possible to match families to their top choice. If there are not enough open seats at your first choice, they will attempt to match you to your second choice; if there are not enough seats at your second choice, they will try your third choice, and so on. It’s therefore important to list ALL the schools you would consider on your Main Round OneApp, when schools have the most availability. MYTH #5: If one of my children attends my school of preference, my other children are automatically guaranteed a spot at that school. 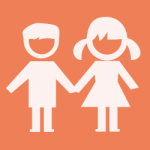 Their team is committed to keeping families together whenever possible. However, sometimes there is not enough space available to accommodate all applicants. Schools that grant sibling priority will consider applicants with siblings before applicants without, but cannot guarantee that any student will receive a placement. Early Childhood programs include publicly-funded and tuition-based New Orleans programs for children ages 6 weeks to 4 years. Elementary and High school options include New Orleans public schools for students in grades Kindergarten to 12. To learn more about EnrollNOLA or find a Family Resource Center near you, visit EnrollNOLA.org.